This article is reprinted here with permission from United Christian Ashrams. For more than half a century, Dr. E. Stanley Jones proclaimed the Gospel of Christ and applied it to men’s personal, social, national, and international problems as they arose on every continent and among all cultures. He was probably the world’s best-known and longest-tested Christian missionary and evangelist. He moved among statesmen and among leaders without portfolios as counselor, friend and worker for peace and goodwill. He helped hundreds of thousands, from village outcasts in India to molders of public opinion in America, Japan, Europe and India. In addition, he initiated and helped support institutions and movements on five continents– institutions and movements that have aided many thousands to achieve better lives religiously, socially and medically. The proceeds from his Spiritual Life Missions and speaking engagements in America, as well as the royalties of his twenty eight books—most of them best sellers—were devoted wholly to these causes. Stanley Jones was born in Baltimore, Maryland, January 3, 1884. He was educated in Baltimore schools and studied law at City College before being graduated from Asbury College, Wilmore, Kentucky in 1906. He was on the faculty of Asbury College when he was called to missionary service in India in 1907 under the Board of Missions of the Methodist Episcopal Church. Brother Stanley, as he was familiarly called by thousands of people, attracted wide attention among the high castes, the students and the intelligentsia. He was invited to speak at ancient universities and before learned societies. Soon he was set aside by his church to interpret the Christian Gospel especially to educated men and women. In 1919, with foresight and great-heartedness, the Board of Missions of the Methodist Episcopal Church offered him the wide-ranging role of “Evangelist-at-large” to India and to wherever else he might feel led, which subsequently proved to be to the far corners of the earth. Dr. Jones conducted great mass meetings in leading Indian cities. At one such meeting, their leader said, “We may not agree with what Dr. Jones is saying, but we can certainly all try to be like Jesus Christ.” He inaugurated “round table conferences” at which Christian and non-Christian sat down as equals to share their testimonies as to how their religious experiences enabled them to live better. Thirty years before the United Nations came into being he proposed a Round Table of Nations. In 1925, while home on furlough, he wrote a report of his years of service—what he had taught and what he had learned in India. It was published in a book titled “The Christ of the Indian Road” and became a best seller. It sold over a million copies and has influenced the course of missionary thinking. Other books followed and certain books or single chapters became required reading in various theological seminaries or in degree courses at government colleges in parts of the world. They have been read around jungle fires, studied by armies and governments, quoted in parliaments, and banned and burned by Communists. His work became interdenominational and world-wide. He held before men the example of God’s reconciliation to mankind through Jesus on the cross. He made Him visible as the Universal Son of Man who had come for all people. This opening up of nations to receiving Christ within their own framework marked a new approach in missions. It came to be known as “indigenization”. He helped to re-establish the Indian “Ashram” (or forest retreat) as a means of drawing men and women together for days at a time to study in depth their own spiritual natures and quest, and what the different faiths offered individuals. Many came to refute the Christian Gospel or to extol their own, but many came to accept Christ’s way of life. These confrontations of man with man and religion with religion greatly influenced the thought life of India’s leaders and the views and activities of its ancient faiths. Then in 1930, along with a British missionary and Indian pastor and using the sound Christian missionary principle of indigenization, Dr. Jones reconstituted the “Ashram” with Christian disciplines. 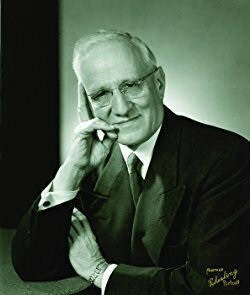 This institution became known as the ”Christian Ashram.” Stranded in the United States during World War II with his family in India because the only overseas travel allowed was for the military), he transplanted the Christian Ashram in the United States and Canada, where it has become a strong spiritual growth ministry. For many years Stanley Jones spent six months in North America, conducting city-wide evangelistic missions, Christian Ashrams, and other spiritual life missions and the other six months overseas. He preached and held Christian Ashrams in almost every country of the world. Stanley Jones went to earth’s trouble spots helping to promote international understanding. ”Peace,” he said, “is a by-product of conditions out of which peace naturally comes. If reconciliation is God’s chief business, it is ours—between man and God, between man and himself, and between man and man.” In Africa, he was called the ”Reconciler.” His efforts in Burma, Korea, and the Belgian Congo, between China and Japan, and between Japan and the United States, to mention only a few, received wide attention. In the months prior to December 7, 1941, he was a constant confident of Franklin D. Roosevelt and Japanese leaders trying to avert war. On his first visit after World War II, Japan hailed him with banners saying ”Welcome to the Apostle of Peace.” He also won the esteem of all India. Men in the old British colony and in the new Indian nation, which came into existence after World War II, counseled with him. His influence had no small share in establishing religious freedom in the new constitution of India. Dr. Jones became a friend of Mahatma Gandhi and wrote an appreciative biography of Gandhi. Martin Luther King told the daughter of Stanley Jones, Eunice Jones Mathews, that it was reading her father’s biography of Gandhi that convinced him to adopt the strict non-violent method in the civil rights struggle. The sons and grandsons of Gandhi remain close friends of Bishop and Mrs. Mathews. In India he supported students of the Mar Thoma Church preparing for the ministry, students at Leonard Theological Seminary, Indian students studying in America, and itinerating evangelists and Christian workers in rural areas. He subsidized schools for lay leaders and provided “Church extension gifts” to build churches and schools in Indian villages and cities. He had a strong influence in preventing the spread of Communism in India. One of his books is titled Christ’s Alternative To Communism. He founded, developed and supported the Christian Ashram at Sat Tal, India—a year-round, world-wide center for spiritual development based on the Christian Ashram disciplines. In 1947 in the United States, he launched the Crusade for a Federal Union of Churches. He conducted mass meetings from coast to coast and spoke in almost five hundred cities, towns and churches. He advocated a system through which denominations could unite as they were, each preserving its own distinctive emphasis and heritage, but accepting one another and working together in a kind of federal union patterned after the United State’s system of federal union. In 1950 Dr. Jones provided funds for India’s first Christian psychiatric center and clinic, the now noted Nur Manzil Psychiatric Center and Medical Unit at Lucknow. The staff includes specialists from India, Asia, Africa, Europe, and America who have given up lucrative practices to serve in this Christian institution which serves thousands of patients. In 1959 Stanley Jones was named “Missionary Extraordinary” by the Methodist missionary publication World Outlook. A well-known Bishop described him as “the greatest Christian missionary since Saint Paul.” He traveled among the peoples of the earth, speaking three or more times daily. A heavy correspondence, writing a book every other year and constant personal counseling completed a program that went on ‘round the clock, ‘round the year and ‘round the world—a miracle of physical achievement. The years did not weary him, for he was blessed with physical stamina, mental vigor, and God’s grace to sustain him in the rugged schedule he imposed upon himself. In December 1971, at the age of 88, while leading the Oklahoma Christian Ashram, Brother Stanley suffered a stroke that seriously impaired him physically but not mentally and spiritually. He was severely impaired in his speech, but dictated onto a tape recorder his last book The Divine Yes and in June of 1972 gave moving messages from his wheel chair at the First Christian Ashram World Congress in Jerusalem. He died January 25, 1973 in his beloved India. E. Stanley Jones was truly a ”Missionary Extraordinary” to the twentieth century!